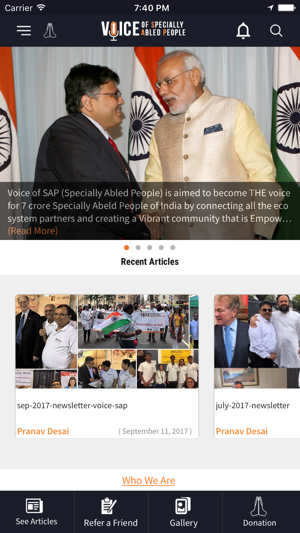 Voice of SAP is an Actionable Advocacy mobile App for Empowering Specially Abled People i.e. Persons with Disabilities. It allows for crowd sourced data on accessibility, pledges of their leaders and community members, solutions, issues news on disability etc. 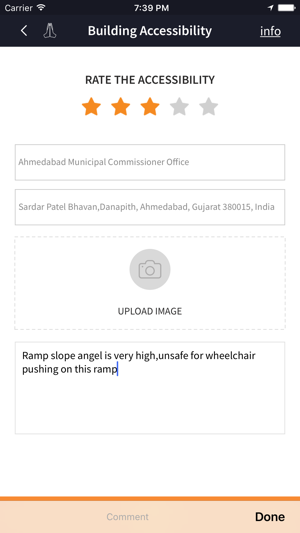 Volunteers can upload building accessibility information which is then available in the mobile app on Google map so persons with disabilities can plan accordingly as where they can go with wheelchair. Volunteers can share the information on social media and promote accessibility related awareness. 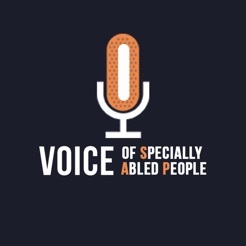 The mobile app also has feature to take the pledge to do something for people with disabilities and these pledges can be shared on social media, available as a public information for community to learn as who is supporting their needs. 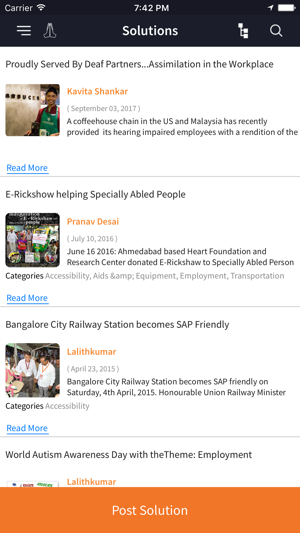 Mobile app has news, solutions, initiatives of other NGOs, vast database of elected leaders govt. officers, several resources on assistive devices etc. 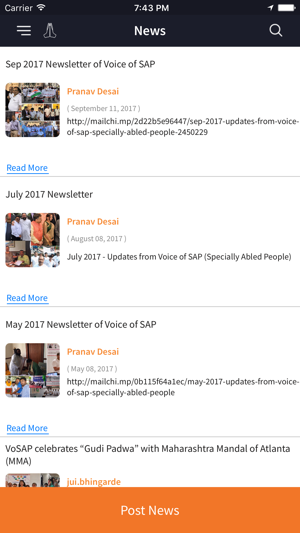 for Persons with Disabilities to stay upto date with latest information and contacts of key people. This version includes Advance filter option in building listing . Thanks for using! 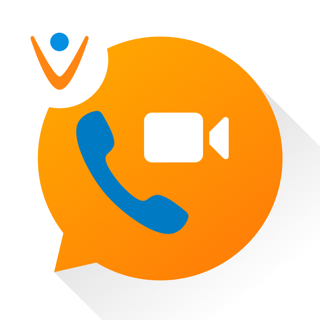 I have been associated with VoSAP for couple of years now. Vision oriented organization led by Mr Pranav Desai is hoping to bring sweeping changes to lives of special needs people across India. 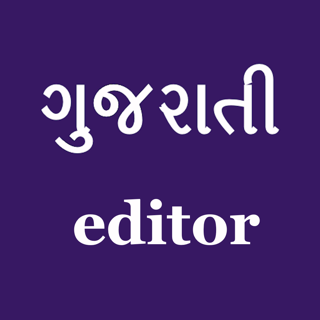 © Copyright @ 2017 Voice of Specially Abled People Inc.